Last summer, in an unprecedented move, Sony Pictures teamed up with the already massively successful Disney/Marvel in a collaboration to create what I consider to be the best Spider-Man film to date – Spider-Man: Homecoming. 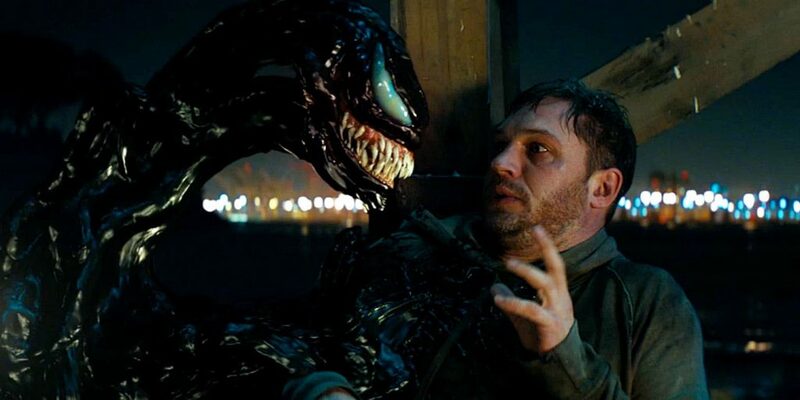 After its success and holding a spot in the box office top ten for an astonishing (and yet very much deserved) eleven weeks, Sony Pictures began planning for another franchise centering around Spidey’s biggest foe, Venom. When Venom was announced late last year, it raised a lot of questions across the film community amongst fanboys and film lovers alike. Will it join Homecoming as part of Disney’s Marvel Cinematic Universe? Turns out, no. Will Tom Holland, at least, crossover as our friendly neighborhood Spider-Man, after such a wonderful feature-length debut? Negative. Wow – dare I ask if Spider-Man will even be in this film at all? Don’t count on it. How could that possibly work? I’ll tell you how. It doesn’t….mostly. Let me very clear when I say I don’t think Venom is a good movie, at least not in the traditional sense. It does have a few moments though. I think director Ruben Fleischer had an idea to make a comedic buddy movie with this film much like he did (and much more successfully) with Zombieland in 2009, but the screenplay and stale characters (outside of Hardy’s Eddie Brock) just couldn’t hold up. Tom Hardy carries this movie throughout all its ridiculousness as both Eddie Brock and eventually Venom, but not one single other character is memorable or useful in this film. 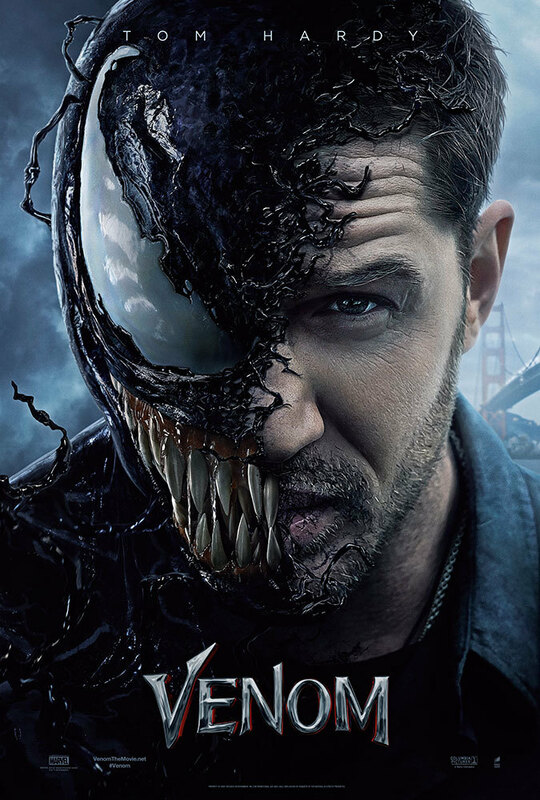 Eddie Brock (Hardy) is an aggressive investigative journalist living in San Francisco (an easy out to avoiding sightings of Spider-Man in New York) and has an opportunity to look into Drake and his not-so-ethical experiments. Of course in doing so, Drake exercises his power and in one fell swoop essentially ruins Brock’s life. He’s fired, dumped, and left with next to nothing in a quick succession of scenes. From the next half hour or so though, the film drags immensely, enough even that my friend leaned in and asked when something was going to happen. I understood his pain. Viewers are met with an incredible amount of expositional dialogue throughout these scenes, as well as a ton of obvious plot devices for later in the film. I could ramble off a number of things I accurately predicted throughout the film as things and people were introduced, but I’ll spare you the spoilers but it became quite clear just how novice this screenplay was going to be. 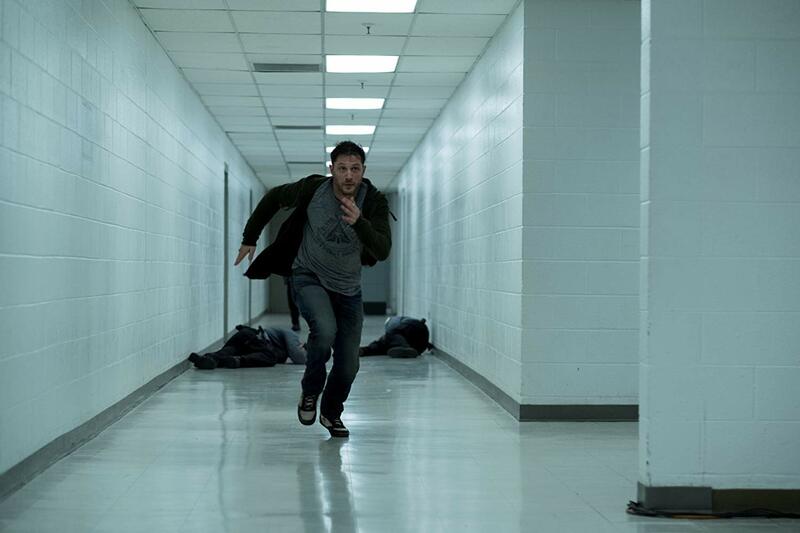 Performance wise, Tom Hardy carries this film on his back not only as Eddie Brock, but also doing the voice acting for Venom as well. Much deserved props are in order to the sound team and Hardy himself for somehow being able to carry this buddy film by acting against himself, because I will say this – everybody else is incredibly stale. 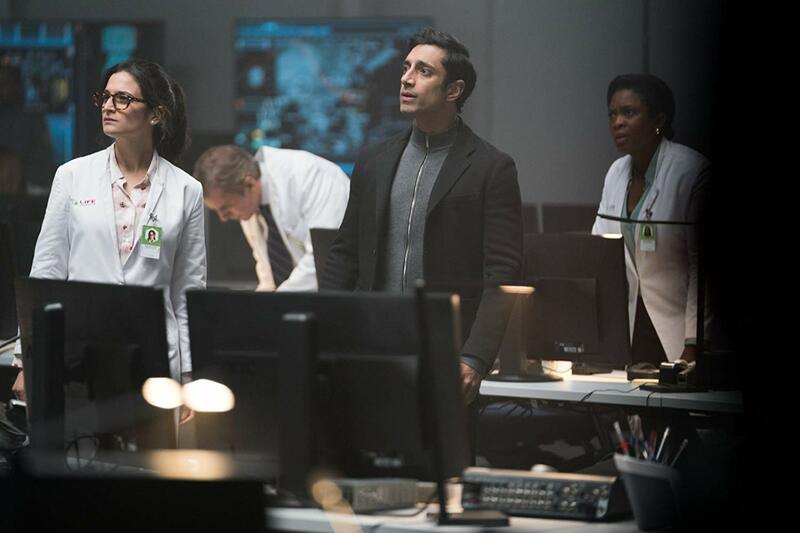 Michelle Williams’ talent is wasted here on a character that serves no other purpose than being a former love interest, but of course she’s now dating a doctor (Reid Scott) so there’s a advantageous backdoor path to one when Eddie is desperate. Everything that happens in this film is convenient for plot and so lazily written, I’m afraid. I think the film is self aware of its flaws, but the jokes only work half of the time and has the viewers both laughing with and at it. The entire sequence of events leading to the third act is so damned convenient that I just shook my head in disbelief at what was transpiring. I guess the lack of rules established (despite a lot force fed exposition) allowed for such events to transpire, but ultimately I was left stunned that this what the writers came up with. I did, however, find the action scenes to be somewhat fun at times, despite the final battle being one big inevitable CGI battle that one should expect going into this Venom. The jokes were hit and miss (emphasis heavily on the miss), but film goers should find some laughter sprinkled throughout. I do feel like I should reiterate that I think Tom Hardy is the saving grace of this movie, and if you stay for a mid-credit surprise, there’s some hope for a more polished sequel. But I won’t hold my breath.